Ah, beautiful spring; sunshine, blossoms and flowering plants. How can this season be anything but positive energy? But for so many of us, spring is allergy season, presenting a catch-22 situation of wanting to be outdoors more, but suffering for it. From pollen, cut grass and ragweed, what can we possibly do to keep the allergies away? Besides offering a medical solution or the stand-by nasal spray, I would like to suggest a pro-active and natural way you can boost your overall health by working with your surroundings. 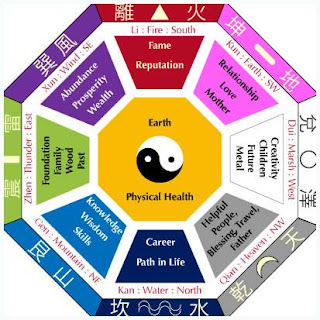 Utilizing the art and wisdom of Feng Shui, our homes can support us with our quest for good health. • Clear the clutter from the area and spring-clean with the art of Feng Shui in mind. You are in essence moving out the old energy and shifting into a new and vibrant one. This will assist with the goal of everyone being healthy in your home. • If it’s an area that can be painted or have more color, choose an earth tone or yellow to support good energy for health. • Add your intentions to this space by writing it down on an earth tone colored paper. Be specific and grateful, extending your wishes for vibrant health to everyone in your home; not just for yourself. For example; “I am so grateful that my whole family is happy and healthy”. Place this written intention in your center Health area, by either tucking it away in a book, behind a photo or plant, or simply placing it on the floor when no one will walk over it. • Keep the air in your home clear of dust and pollen by regular cleaning and using an air filter or ionizer. • Healthy potted plants or wind chimes around your home will disperse negative chi, as well as playing soft and uplifting music. • Place a mirror directly opposite a window that looks out onto trees and the sky, which expands and magnifies the positive healthy energy coming through the window. • Earth – Stones, plants and healthy soil to enhance the grounding balance of the earth element. Colors representing earth include brown or yellow. • Wood – Wooden planting boxes, or decorative wooden pieces such as a carving, bench or bamboo pieces. The color representing wood is green. • Metal - Wind chimes, planters or copper decorative pieces. Colors representing metal are white, gold or silver. • Water - Still or slow flowing water such as a fountain, bird bath, pond or pooled water from a stream. Colors representing water are black or blue. • Fire – Candles, lanterns, fireplaces or an outdoor fire pit. The color red represents fire. By intentionally practicing the healing art of Feng Shui, you can uplift the energy flow in your surroundings, creating a calm, supportive and healthy environment for you and your family this spring. Yvonne Phillips is a National Feng Shui Practitioner, Author and Speaker with over 20 years of experience. Yvonne is certified with Feng Shui Institute International and has trained with world famous Feng Shui GrandMaster Lillian Too. As owner of Creative Color & Design, she incorporates Feng Shui principles into both residences and businesses,from small businesses to large corporations. Please visit her website for more information on a class of Feng Shui to Go to learn how to do your own Feng Shui.